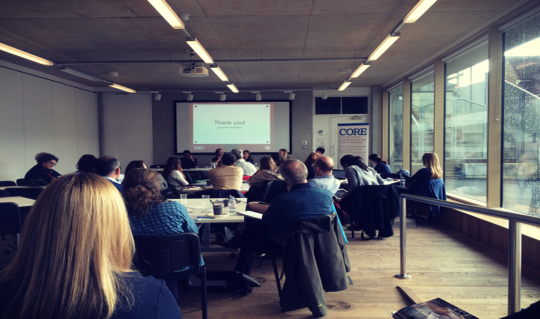 On the 15th February CORE held its 2018 Annual Partner Meeting, bringing together partner organisations, NGOs, academics and government officials to discuss corporate accountability issues and strategies for the year ahead. Anne Lindsay, Private Sector Lead Analyst, CAFOD. Nicole Piche, Co-ordinator & Legal Adviser, APPG Human Rights. Claudia Saller, Co-ordinator, European Coalition for Corporate Justice. Sue Hawley, Policy Director, Corruption Watch. Moderated by Jana Morgan, Campaigns & Advocacy Director, International Corporate Accountability Roundtable. The day closed with a session giving others the opportunity to share the projects their organisations are engaged in and networking drinks. If you wish to follow up on anything discussed at the meeting, please contact william@corporate-responsbility.org. We thank everyone who attended and look forward to seeing you all again next year.